The page (bi_application:mdm) doesn't exist. You have been redirected automatically to the best page. OWB - How to load a fact table for a data quality cube ? 5.1 - How to make BI more pervasive throughout an organization. 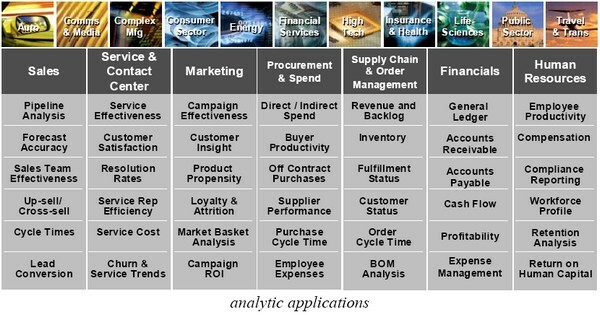 Some BI applications are common for all types of enterprise, others are specific to some industries. production planning and defect analysis. While one of the primary methods for doing this is to make it easier to use by non-technical employees, I believe another way is to provide concrete, readily comprehendible examples. The TV coverage on election night demonstrated both.